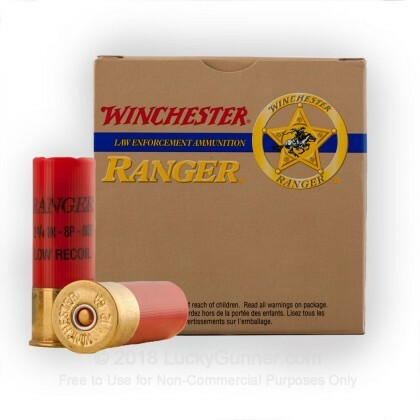 This product is excellent for self defense, hunting, and combat training. It is a workhorse product designed for our military and police forces but has recently been made available to the shooting public as well. 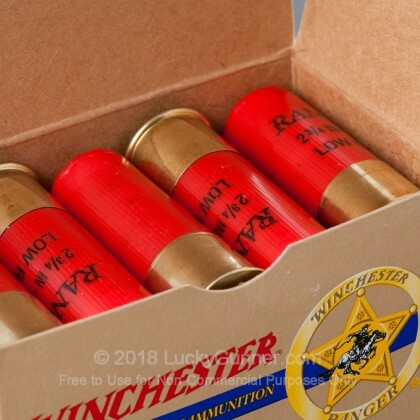 Look to Ranger Low Recoil Buckshot Loads for the performance that you have come to expect from Ranger without the high power kick. This will deliver less shooting fatigue helping you to enjoy your time on the range without the ache. 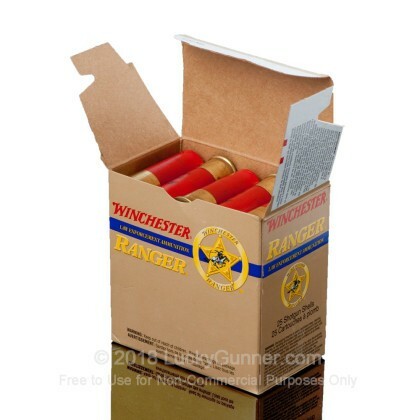 This is top of the line, American-made ammo - it doesn't get any better than this for personal protection. 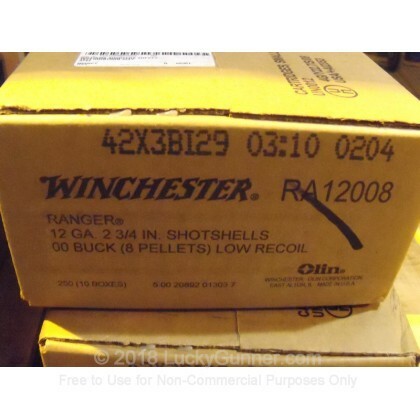 Use this site for your ammunition needs. I used these rounds for an NRA Instructor recertification course and shooting these loads from 25 and 50 yds at prone was like shooting AA Light birdshot. 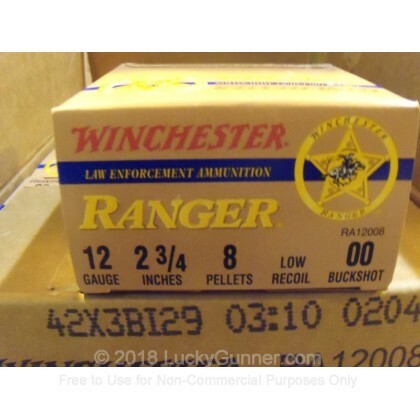 I wish I had ordered more as I ran out and went to straight remington full slugs and could definately feel the increase in recoil from the Rio rounds. Would be excellent round for shooters news to slug shooting. I purchased 250 rounds of this round. The quality looks top notch with the center drill tapped for a very neat look. 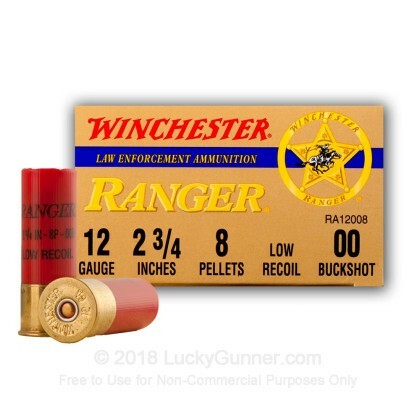 These rounds feel like bird shot and allow you to get back on target with minimal barrel rise. These would also be great for a tactical training class in which you would be shooting multiple rounds all day long. Thet patterned very well with a tight group using a Improved Cylinder choke. These would also work well for the recoil sensitive or if the female of the house has to use the gun in home defence situation! You should buy now!